How Can You Build A Career in Professional Gaming? If you play games a lot, especially multiplayer ones, you probably know something about gaming tournaments around the world, like the DOTA 2 championship in Seattle last year where a Swedish team took home nearly $1.4 Million in reward money, along with some goodies. Gamers are now recognized as pro-athletes in the U.S, and people as young as 13 years of age are competing. Why? Simply because there's a whole career to be made in professional, or eSports gaming, and some people have done just that! Parents are often skeptical regarding any talks of playing games, but the classical taunt "Playing games is a waste of time and money" can now be turned around with the example of various world-renowned and highly-paid professional gamers such as Jonathan 'Fatal1ty' Wendel, Lee 'Flash' Young, and so on. Besides making money, recognized pro-gamers can also get a US P-1 visa, usually reserved for sports players. These visa holders can stay and earn a salary while ‘playing’ in the US. It all is, however, easier said than done. It takes hundreds of man-hours of practice, skill, determination and teamwork to be successful. 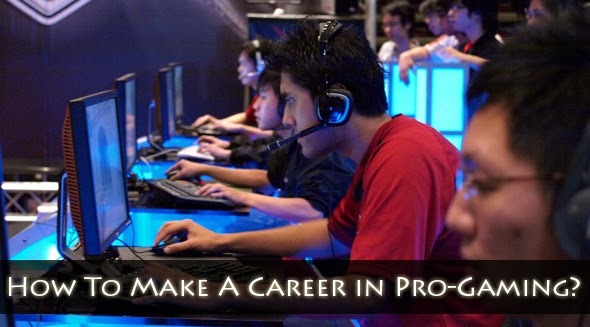 Here are the top 10 tips to start off your career as a pro-gamer. Yes, I know, AI is stupid, and won't let you get a competitive feel. But before you go bursting out in the open, know the strengths and weaknesses of the game, and of yourself. Many games like Counter Strike will let you play against bots. So assemble a team of your bots, and compete against the enemy to discover the ins and outs of the game. Generally, you can use bots to asses your own performance, and adopt your gaming style according to what feels most comfortable. Playing with people is as important as playing against them. You cannot be a successful gamer if you're not good at teamwork - get that through your head! Most online games require teams to play against each other, and almost all tournaments feature matches between teams. Playing in teams lets you learn by observing others and getting tips from them. What you can learn in a team, you can never learn by yourself. Playing in teams also makes you learn teamwork strategies that are invaluable for any gamer, and are the distinguishing characteristic of a pro-gamer versus a casual gamer. Gaming sometimes can get intense and argumentative. This helps you judge the playing styles and abilities of each member in your team. So assemble a team of friends, and practice with each other. It also helps develop a particular gaming style. For example, when I play first-person shooter games, I usually prefer long-range assault. But when playing in a team, I rush head-on with an SMG, with some assault guy covering my back. Similarly, I am fairly aggressive in solo real-time strategy, but I mostly play defense when in a team. Developing strategies like these is crucial to victory in any competitive match. Not necessarily the first thing to do but it is one of the more important ones, know that there is a lot of jargon involved in multiplayer games, and it’s not just limited to Internet speak. Game jargon varies, according to the games you play. For example in MOBA (Multiplayer Online Battle Arena) games like DOTA 2, League of Legends or Heroes of Newerth, there are terms like stun, hex/voodoo, disable, lane, neutrals/jungle or ancients. First person shooter (FPS) players also give unique names to spots or areas on the map. This allows your teammates to know the whereabouts of enemy players. Competitive gaming rely a lot on strategy and fast and effective communication with your team mates. You can only get as good as your imagination can let you, so sometimes you need inspiration from the ones who have been there, done that. Watching professionals play lets you learn how the pros do it, how their complex teamwork and strategies work, watch their key twitch and split decision-making in action, tricks, ploys and more lessons that will help make or your break your gameplay. The good news is, many pro-gamers allow the world to watch how they play live, made possible with live streaming. The number one site to watch these pros in action is on Twitch.tv. However, YouTube is also a good place to learn a game, even more in-depth. Other times, instead of watching someone play, you can opt for tutorials and guides where YouTubers explain what’s going on. You can also find walkthroughs of single player games on YouTube if you’re stuck at a level. Some people debate endlessly on why you shouldn't waste money on gaming gear. They argue that using special gear makes you dependent on it, and you cannot perform without it. While that might be true for casual gaming, it is the wrong attitude for professional gaming. Gaming gear is built for durability, responsiveness and accuracy, which is why I argue that it makes you independent of hardware factors, and lets you concentrate on your game. For example, a normal desktop mouse has a response time of 8-16 milliseconds. But gaming mice, like the one I am currently using, respond within 1 millisecond. Similarly, hi-tech 7.1 surround gaming headsets will provide you much powerful hearing capabilities than normal ones. 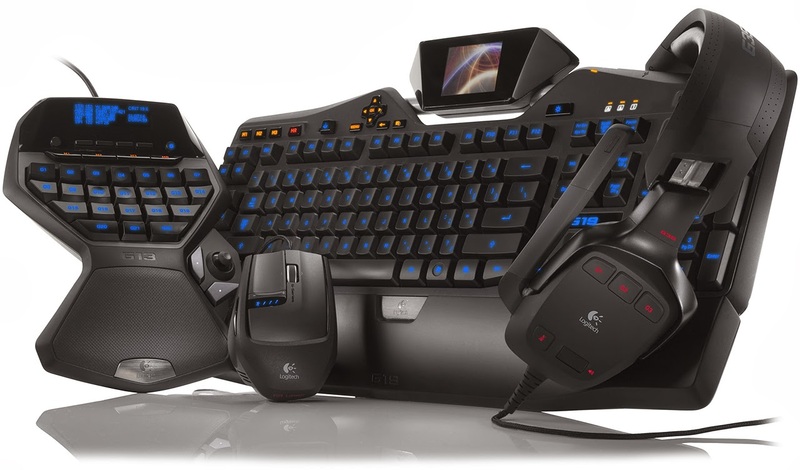 Hardware plays a significant role in cutting down errors while in the heat of battle, and if you're into hard-core gaming, you might find it worth your while to invest in products from renowned companies such as Logitech, Razer, SteelSeries etc. Watching people play means you can closely watch their movements, but this doesn’t give you information about the many other things going on inside their head. Part of understanding the mechanics of the game is to read about it, study it in-depth. The internet is a great source to find out more in-depth things of just about any game. We’re talking about knowledge on the characters, their skills, their moves with weapons, their armory, the playing field and more. No one said it was going to be easy, but the hard work may be well worth it to win games. Once you learn what each character is capable of doing, you won’t get caught off guard so easily. No one turns pro overnight, even professional gamers have to practice and train for hours a day – check out their live stream to get a feel of what gaming a whole day feels like. Consistent gameplay and charting your progression in terms of team performance may actually help build towards a gaming career. Take every win and loss as a challenge to better your gameplay but it’s important to enjoy the game for what it is. If you ever find yourself needing to turn to hacks, don’t. While you may be thinking about using hacks to advance in the game, it isn’t actually a good step, mostly because you’re "not playing" the game anymore. Pro-gamers are gamers who fully understand the game and exploit its mechanics (without hacks) to their advantage. It’s also the reason why many other fellow gamers respect their determination to climb their way to the top, hack free. Stay away from hacks and play it the right way. This is an extension from #6. Games can be very graphically demanding and might require you to have a high-performance computer in order to enjoy its an immersive gameplay. However, it’s ok if you don’t have a beefy computer. All you have to do is lower the graphic settings to ensure you have smoother gameplay during intense clashes. Don’t worry of what others might think of the ugly graphics, pro-gamers do it all the time. They need fewer "beautiful" features because they’re not there for that. To them, the correct actions are what matters. Taking the load off the machines means less distractions anyways, and better performance. As competitive as it can get in the gaming arena, everyone’s there to play. Even if it is there to win, everyone is still looking for a good game. Don’t ruin the mood with senseless verbal brutality, particularly if you are new to the game. Being nice to strangers can get you far, find you a fellow player to brave the tough training sessions ahead and some of them can teach you a thing or two about how to master the game faster and better. Don’t have friends to take into a game? Make some from it. If you’re playing on a local server, you might have the chance to make new (real life) friends too, because not all people on the Internet are bad and shady – just tread with care when it comes to sharing personal information online. May the best player win!